Automatically adapts to the user, allowing them to move freely from posture to posture. 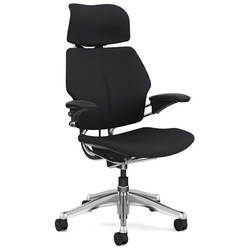 Constant support, innovative recline and a pivoting backrest that automatically adjusts to the needs of the spine. It moves with the sitter, No manual adjustments needed.